The St. Johns area of north Portland is at the tip of the peninsula formed by the joining of the Willamette and Columbia Rivers. 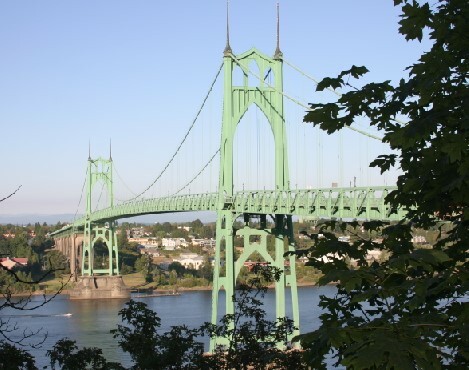 It's known for the beautiful St. Johns Bridge, a Gothic-inspired suspension bridge over the Willamette, linking north Portland to northwest Portland. The St. Johns neighborhood almost feels like its own town, and not part of Portland proper. The historic downtown area is an easy walk from the surrounding residential neighborhood. For more about St. Johns, visit the websites of its neighborhood association, its site hosted by the city of Portland, and its "main street" site, aimed at business development in the area. To see the listings on their own page, click this link: Homes for sale in the St. Johns area.